Western Desert 2: Scene measures 8' high and 28' wide, foamcore. Western Barn Interior: measures 8' high and 16' wide, foamcore. Howdy partner. Cutout for two. Cactus Cut Outs: Assorted pieces that measure about 6' high, foamcore. Western Desert Scene: measures 8' high and 32' wide, foamcore. Western Train: Various cutouts of old locomotives. 8' wide and about 4' tall, foamcore. Saloon Exterior: measures 8' high and 24' wide, foamcore. Saloon Interior Scenery: measures 8' high and 32' wide, foamcore. Saloon Interior Scenery3: measures 8' high and 32' wide, foamcore. Saloon Interior 2: measures 8' high by 20' wide, foamcore. Western Barn: measures 8' high by 20' wide, foamcore. 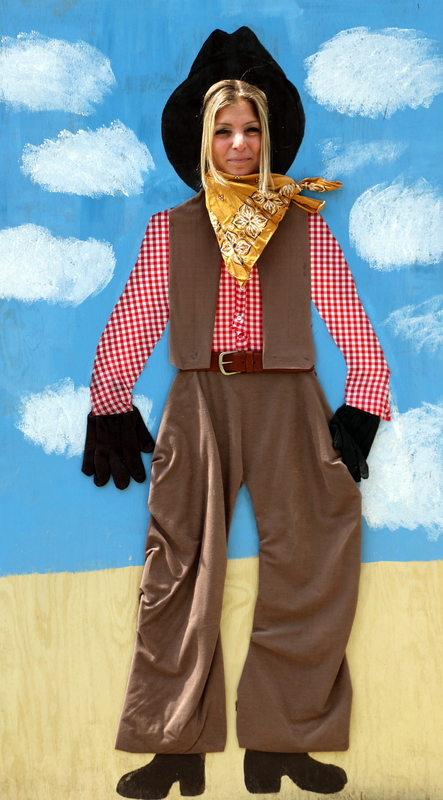 Western Cowboys: measures 8' high and 28' wide, foamcore. Saloon Interior 5: measures 8' high and 20' wide, foamcore. Western Town Scene 1: measures 8' high and 24' wide, foamcore. Western Town 2: measures 8' high and 20' wide, foamcore. Western Exterior: measures 8' high and 16' wide, foamcore. Western Scene 3: measures 8' high and 20' wide, foamcore. Western Scene 4: measures 8' high and 12' wide, foamcore. Western Farmhouse: measures 8' high and 12' wide, foamcore. Western Bar Scenes: 3 Different scenes can be used together or apart. Each measures 8' high and 16' wide, foamcore.